To use Retrace with Elastic Beanstalk, the Retrace monitoring agent must be installed on the server and our .NET profiler must be enabled. Configure your Stackify Properties by setting the values in the Stackify.config file or in your EBS portal Environment Properties. 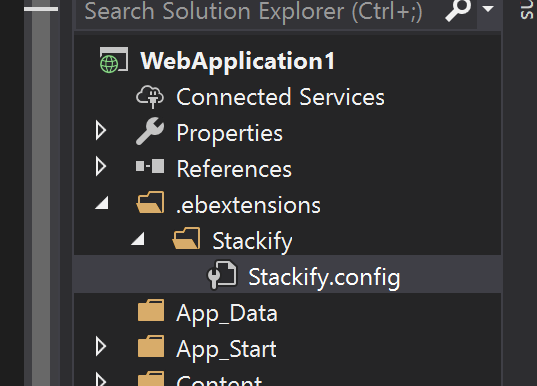 Within your application you need to create a Stackify.Config file. After you create the file, copy the text below in to your Stackify.config file. This will configure your Elastic Beanstalk server to automatically install our agent. After creating the Stackify.config file, make sure you set the file properties to Copy Always. You have 2 methods of setting the required property values in order for the agent to authenticate with your account and allow the profiler to run so that APM data gets created. 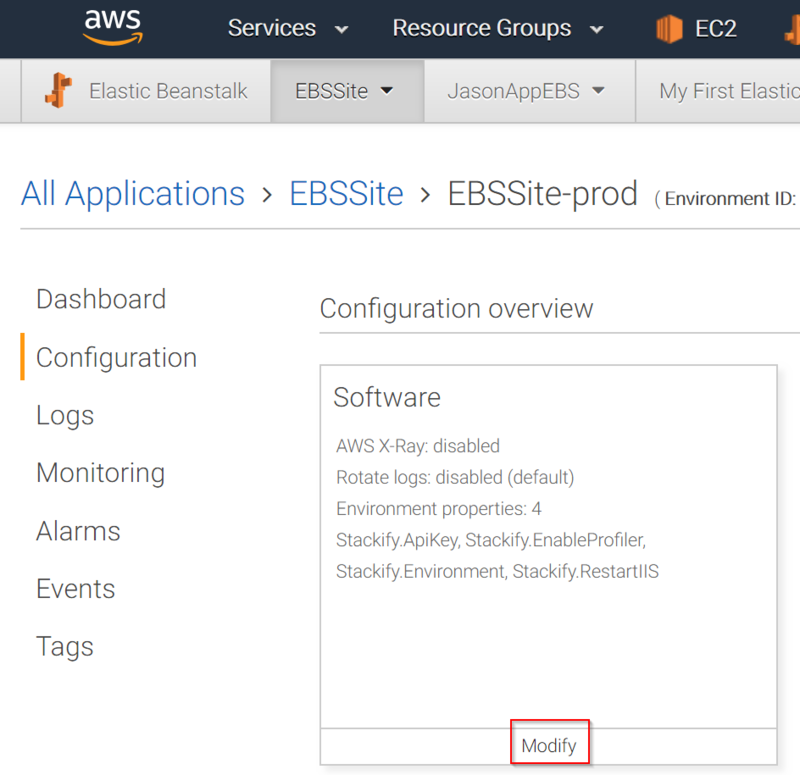 These options include setting the properties within the EBS portal (option A), or setting them directly within the configuration file you created in Step 1 (option B). We recommend setting the properties in the AWS portal so that you can easily control the environment names across different deployments for dev, QA, production etc. If you specify it in the Stackify.config ebextension, you can't easily make it different per deployment. Don't forget to set the Stackify.ApiKey to be your license key! You must modify the environment property to have your correct license key which is available within the "Install Retrace" page of Retrace. To properly remove servers when you redeploy or scale down, you will want to setup our lambda script to automatically handle this. This only needs to be done once for Retrace. If you have 100 apps, it still only needs to be done once.